We welcome anyone diagnosed with or recovering from Oesophageal Cancer, we also welcome family members and friends/carers as we understand that this journey affects more than just the patient. Whatever your circumstances, we are here to support you. 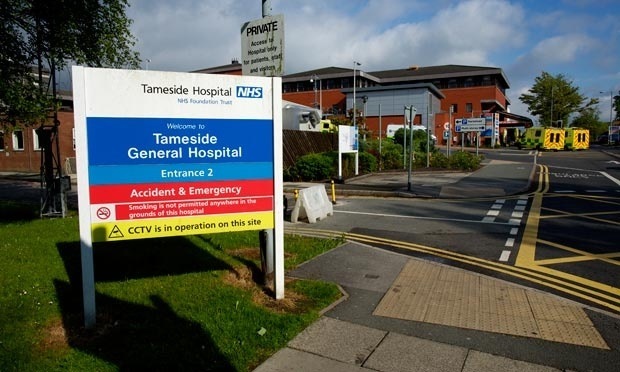 We meet regularly at the Tameside Hospital. At our meetings you will have the opportunity to meet others in a similar situation to you, as well as their family members and those supporting them. Meetings are free to attend, and light refreshments are provided. Please check this page for details of our upcoming meetings. Contact Jed Burke on 07734 889681. The Manchester (Tameside) group is made up of a mixture of current and former patients, their carers and close family members and friends. Our group members (both male and female) come from a wide range of backgrounds and occupations, and all have very different stories to tell. We all have one thing in common however, and that is we all aim to help and support each other, very much employing the ethos of the OPA - 'former patients helping current patients'. We aim to help patients (and their families) pre and post treatment by offering support and guidance from those who have been in a similar situation themselves. We realise how important it is for our members to interact with eachother, and dedicate part of our meetings to this so that life-long friendships can be formed. In addition to the national objectives of the OPA, we also hope to conduct a number of regional awareness initiatives, plans for which will be discussed at future meetings. Our meetings are very informal and take place at the Ladysmith Building, Tameside General Hospital. Each meeting typically lasts for 2 hours and gives attendees an opportunity to hear the latest news, share their experiences, and learn from others. There is no obligation for anyone to speak publicly (your level of participation is completely up to you). Going forward, we also hope to be able to offer inspiring and engaging presentations on a wide range of topics, by a number of carefully selected guest speakers. After the main meeting has ended, you are welcome to stay and talk to other patients (either in groups, or on a one to one basis ). Our meetings are absolutely free to attend and there are no 'membership' fees. Additional food and drink is available in the hospital restaurant. Any additional leisure activities organised by the group may incur an additional charge, however we will notify attendees of any costs prior to organising an event, and participation is optional. As former patients, we fully understand the difficulties you may be undergoing as a patient... be they physical, psychological or both. Whilst you might not feel like talking about cancer, wherever possible, we would encourage you to attend, as we are confident you will find our meetings both supportive and informative. From gaining tips on treatments, diet or relaxation techniques to knowing how to deal with some of the symptoms, you may be surprised at what you can learn by talking to another patient. You can also take comfort knowing that you are not going through the experience alone and that there are others who you can turn to for help, guidance and support. If you are too unwell to attend in person, please feel free to send someone else on your behalf (e.g spouse, friend, or family member).